Pocoyo and his friends were in charge of turning on the Christmas lights at Corte Inglés on Sagasta. The Christmas lights at Corte Inglés in the city centre of Zaragoza, on Paseo de Sagasta, sparkled once again on the 24th of November with the traditional lighting of its main façade in Plaza de Glorieta Sasera, which takes place every year. 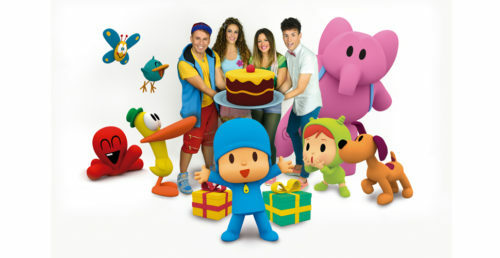 Pocoyo, Elly and Pato were in charge of lighting the façade to the rhythm of the music of Conecta Kids, who performed with the characters at the inauguration to enliven the audience and promoted their last album “El cumple de Pocoyo“. To view the inauguration, click here. We use our own cookies as well as third-party cookies in order to enhance your experience in our website and in order to provide you with advertising based in your preferences and navigation habits.